Mari has the perfect life, at least online on her successful Instagram account. Gorgeous boyfriend, amazing food, and fit lifestyle. 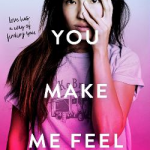 But when Mari turns 18, she is reminded of the unexpected death of her once-close cousin, Bri, and decides to dump social media for good. What comes next is the adventure of a lifetime when Mari decides to follow in Bri’s footsteps and hike the John Muir Trail. This 200-plus mile journey through the Sierra Nevada is no joke and Mari must survive bears, brutal elements, and what it means to find yourself. The Other Side of Lost hits a major relevant point for teens today: social media vs. real life. 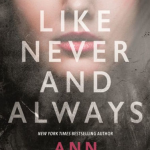 In this book, our protagonist has focused so much of her life through social media (her fake life) that she has completely lost touch with her family and her true self. Some passages are told through bullet journal-like entries from Mari’s deceased cousin. There is a mild love interest plot but the story mostly focuses on Mari’s personal journey and her relationship with her cousin. 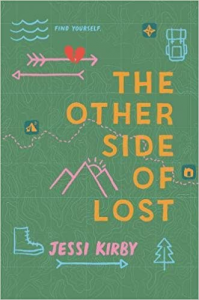 Teens with a love of the outdoors, social media, and adventure will enjoy The Other Side of Lost. Pair with the book Sisterhood of the Traveling Pants by Ann Brashares and the movie Wild starring Reese Witherspoon. When Lucy was struck by lightning, it made her a math genius. Too bad it isn’t any help in surviving middle school. Lucy is smart. Really, really smart. So smart that by age 12, she had already finished high school. But when Lucy decides the next step in life is college, her grandmother has other plans. Lucy must 1) go to 7th grade for 1 full year 2) make 1 real friend and 3) read 1 non-textbook book. It sounds easy, but Lucy would rather be struck by lightning…again. 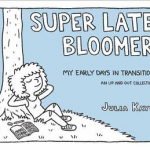 This book is the perfect read for older kids who are in middle school and not yet ready to branch out to Young Adult books. Lucy’s voice is witty, awkward, and genuine while keeping a storyline that is both entertaining and light-hearted. The ending is your typical Middle Grade ending with (most) everything wrapping up neatly in a bow, but the story allows readers to empathize with peers who have social anxiety or autistic minds. 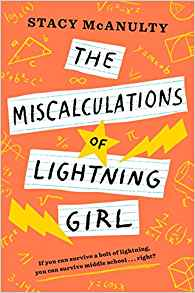 The Miscalculations of Lightning Girl is a few steps up from the movie Wonder and perfect for fans of the books Counting by 7s by Holly Goldberg Sloan and Fish in a Tree by Lynda Mullaly Hunt. Readers who are waiting for their prince to come may want to rethink that position. 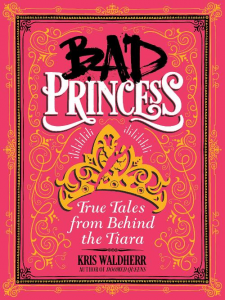 In seven short chapters, Kris Waldherr initiates readers into the good, the bad, and the downright ugly details that go with being royalty. Whimsical illustrations, pink-tinted original portraits, and sidebars populate this thin tome that covers a remarkable amount of historical ground and pays homage to strong female characters who did what they were told, but on their own terms. Descriptions of beauty rituals–including one royal who reportedly bathed in the blood of her murdered attendants–are riveting and told with care to provide objective commentary over titillating speculation. Western civilization dominates many discussions of royalty, but Waldherr also includes references to the Hawaiian Princess Ia’ilulani as well as the modern day princesses who represent Swaziland and Dubai, in addition to a blurb about Sarah Culberson who discovered that her father was African royalty in Sierra Leone. Between the Disney princesses and our recent fascination with Meghan Markle, Duchess of Sussex (and yes, there’s a sidebar explaining titles), this short book provides context for our attraction to royalty but still emphasizes girl power. This is a strong pick for readers who gravitate toward nonfiction featuring quick bursts of information, trivia in sidebars, and graphics that keep the narrative moving. 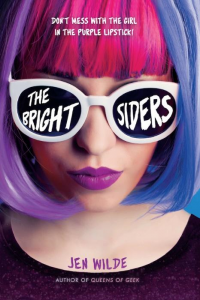 Emmy King is a teen rock star drummer living the good life, until a wild night of partying goes too far. 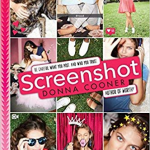 The paparazzi scandalizes Emmy and begins hounding her bisexual love life…but they will learn to not mess with the girl in the purple lipstick. The vibrant cover catches the eye immediately, and highlights Emmy’s hallmark purple lipstick and funky hair. The diverse cast includes multiple bisexual characters and a non-binary character. They are unique in that they are glamorous rock stars hunted by the paparazzi, yet they remain quite relatable. Basically, they aren’t your average teenagers, but they do have quintessential teenage problems (parents, romance, alcohol/drugs, etc.). 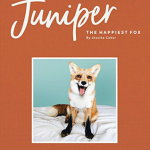 The plot is engaging and moves quickly with plenty of witty humor, prompting readers to root for Emmy along her journey. The hilarious banter and rock star factor clearly has broad appeal for varied readers. In particular, those who enjoy LGBTQ+ fiction via humorous, quirky stories such as Leah on the Offbeat by Becky Albertalli, The Summer of Jordi Perez by Amy Spalding, or Ship It by Britta Lundin will find this one knocks it out of the park.